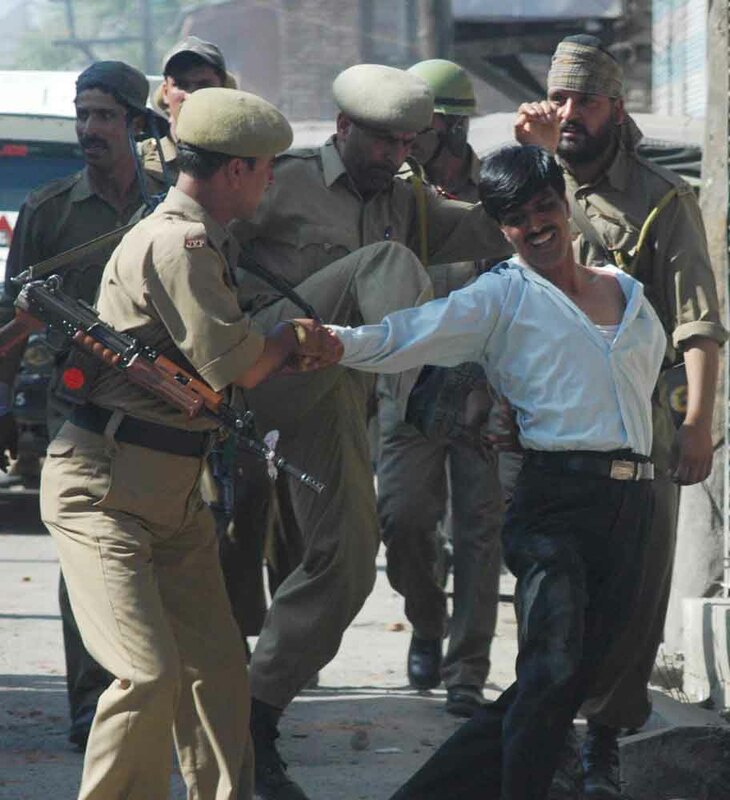 Barely three weeks after the Mumbai terrorist attack, India’s Congress Party-led United Progressive Alliance (UPA) government pushed draconian new “anti-terror” laws through parliament.\Amidst an unrelenting din of hysteria over reputed “Pakistani-sourced terrorism,” all sections of India’s political establishment—including the Hindu supremacist Bharatiya Janata Party and Shiv Sena and the Communist Party of India (Marxist)-led Left Front—unanimously joined with the Congress and its UPA allies on Dec. 17 to adopt the Unlawful Activities (Prevention) Amendments Act 2008 and the National Investigating Agency Act. Purna Subedi has been elected vice-chairperson of the constituent assembly (CA). She is also a member of the Constituent Assembly from CPN-Maoist. Subedi won the election when the CPN (Maoist), the CPN (UML), People’s Front Nepal, Sadhbawana Party and other small left parties supported her. She received two-third vote. After victory, she informed media persons that she is able to play the responsible role given to her. She says, “I am ready to accomplish my task impartially”. Clarifying the challenges before her, she says, “The principal thing is to have the ambition, the will, the expectations and mandate of the people given to the CA”. According to her, the status-quo tendency has been the main obstacle in fulfilling the expectations of the People. The tendency of status-quo only presents the showy and pretended behavior and plots against progressive steps. From the Opinions section of Red Star #19. When the elites of the world are speaking about peace, development and democracy, we are working hard on truce, talks and transitions. We have our own pains and sorrows, hopes and aspirations and dreams and desires. We are languishing here with a forlorn hope thinking that the top is much easy and the other side of the hill is full of strawberries and water- melons. With a hope of coming to an easy path, we fought against the tyranny and despotism of the feudal regime for more than sixty years. Sometimes it came openly out and sometimes played pawns from the back, but it ruled, it oppressed and suppressed all movements of freedom and growth. Every time we fought, failed or rested, we said that we are in the phase of transition. Through all these sixty years of our fights and movements, we have had transitions after transitions, transitions within transitions and every time when the transition too failed without the achievement of any significant change, we consoled ourselves by saying that the change is only the thing that is constant and permanent in this world, and nobody can stop it. After the pro-people democratic movement in 2006, we have again been going through an important transitional period of history in Nepal. This time the transitional period is full of confusions, uncertainties, and, inconsistencies. The political atmosphere is hazy and indecisive. The road of politics is full of quick sands and quagmires. There are cliffs and ditches all around. Now we realize that despite few limitations and weaknesses, the ten years people’s war was a system, an order, and a solution to many problems of the people. The ten years’ people’s war had established people’s power, and it had the straight clashes with the old rotten feudal system. We came to a halt and negotiation at the point when people were very close to capture the political power for drastic changes in all existing political, economic, social and cultural structures. This time again people’s most powerful uprising was deceived. It could have been launched further to a wider road of freedom and democratic practices. In that case, it would have swept away all previous feudal connections and modes of productions. 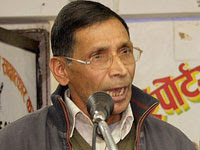 A senior Maoist leader and ideologue, Mohan Baidya ‘Kiran,’ has said Nepal will become a ‘people’s republic’ within one and half years. The question of the Young Communists League, the youth wing of the CPN(M), is relevant to any discussion of their path forward–much like the question of army integration. The CPN(M) is being pressured by the Nepali Congress and other bourgeois forces to control it’s ‘unruly’ youth by abolishing their organization–in other words, cripple the party’s recruitment, militancy and mass participation. The YCL has taken a central role in making Kathmandu neighborhoods safe, enforcing the law and making sure people’s basic needs for water and sanitation are met. The energy for radical progress and revolutionary solutions can be sustained and fueled by enthusiastic young communists. A brief defense of their continued existence, and the need to make serving the people a focus of politics, is presented here. 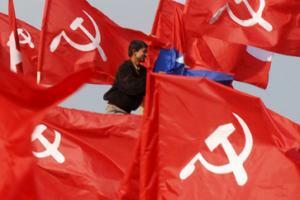 Young Communist League (YCL), Nepal is the sister organization of the CPN-Maoist. This is a youth organization in Nepal. It has brought big changes in the ideological, political, organizational and cultural fields to Nepal. 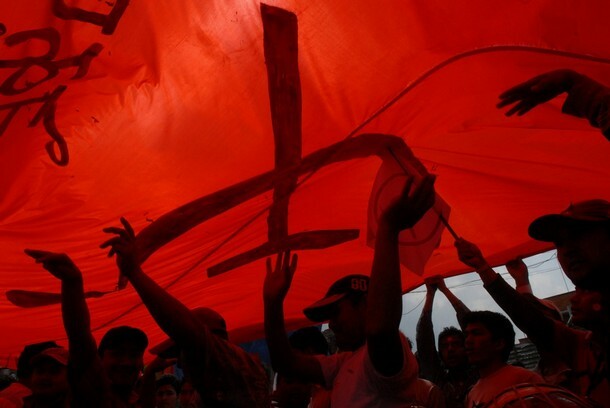 It is the popular organization which worked with people to combat crimes in the society and liberated them from the repression and exploitation. It has freed the people from gangs of dacoits, thieves and the goons locally and nationally. Therefore, it is the only organization to serve the people in the whole country. It is the heart of the people. This article was published by Nepal News. The government has formed high-level Land Reform Commission headed by Haribol Gajurel, a Maoist leader. Thanks to the Maoist Revolution elist for sending this out. month recognising human rights violations on sexual orientation and gender identity. Prachanda, whose once banned party waged a 10-year peoples war on the state to end the monarchy, renewed his commitment to gay rights Wednesday to a delegation led by Nepal’s only publicly gay lawmaker Sunil Babu Pant. This article was published by Philippine Revolution. The Mt. Amandewin Command (New People’s Army-Leyte) has vehemently belied claims by the reactionary Armed Forces of the Philippines (AFP) of having defeated the NPA and having crushed the revolutionary movement in Leyte. In an interview with Ang Bayan, various NPA units in Leyte described how armed struggle, agrarian revolution and other mass struggles have been advancing in the island despite the enemy’s intense militarization. Antifeudal struggles have, in particular, benefited residents of the third district of Leyte in a big way. This article first appeared in Asia Times. KATHMANDU – Political and economic dynamics might have changed beyond recognition in the past half-century, but geographical reality appears to be something even Nepal’s nuclear-powered neighbors are unable to gloss over. One remains apprehensive about the possible maneuvers from the other, drawing indications through a small neighbor which happens to share borders with both China and India. An evolving scenario in this part of Asia reminds analysts of the catchy title of a book an Indian journalist, Girilal Jain, wrote in 1959: India meets China in Nepal. The book was written in an era when Nepal did not have even one road link with China’s Tibet. The situation has undergone a sea-change over time, with alternative overland routes and air services developing between the two countries. Visitors do come to Kathmandu from the south as well as from the north. But since regulations pertaining to passports and visas are incredibly simple for Indians, their numbers are bound to be higher than those of the visitors from China, who are required to fulfill numerous formalities. Besides, those coming from China (including Tibet) are distinct because of their attire and language, and therefore are easily recognizable. In other words, their presence in the capital city and elsewhere in the country becomes conspicuous even if their faces and physical features somewhat resemble those of Nepalis living in the settlements on the foothills of the Himalayan mountains. From the Opinions section of Red Star #19. This article was originally titled “National convention : beginning the great debate“. This article is one of several from Red Star on the National Convention, a major meeting on the future of the revolution in Nepal. We are publishing these overviews of the CPN(M) National Convention to better understand the path forward of the Nepali Maoists. This particular article outlines past and present line differences within the CPN(M). 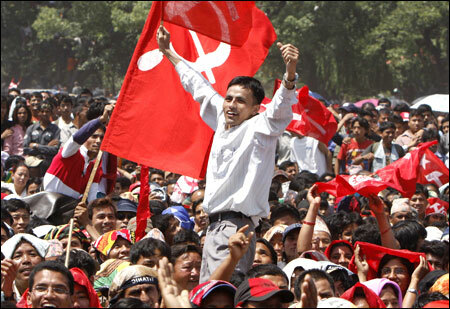 (December 1, 2008) The Nepalese People’s Revolution is now at a crucial juncture, full of opportunities and challenges. On the one hand, the possibilities are so great that the party’s success to develop a scientific ideological and political line consistent with the present objective condition could lead the Nepalese people’s revolution to a victorious accomplishment. And also, it could be a new opening of the world proletarian revolution in the beginning of the twenty-first century. While on the other hand, its failure to do so would lead to a disastrous consequence leading to an extensive demoralisation of the oppressed classes not only in Nepal but the world over. Therefore, in short, the recent National Convention of our party, the CPN (Maoist), has had an international dimension. From the Opinions section of Red Star #19. This article was originally titled “Historic national convention : a milestone of revolution”. This article is one of several from Red Star on the National Convention, a major meeting on the future of the revolution in Nepal. We are publishing these overviews of the CPN(M) National Convention to better understand the path forward of the Nepali Maoists. This particular article gives an interesting overview of inner party democracy, and how the CPN(M) approaches ideological struggle. The historic National Convention of the glorious vanguard of the proletariat, the Communist Party of Nepal (Maoist) has been accomplished successfully. This convention was held at Kharipati of Bhaktapur on 21-27 of November 2008. 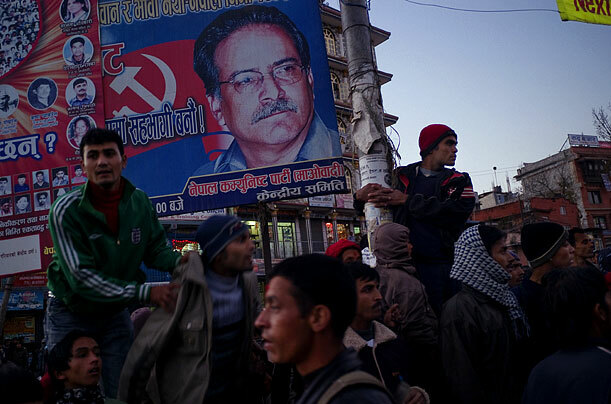 Prachanda’s Maoists came to power after a 10-year insurgency Nepal’s Maoist Prime Minister Prachanda has threatened to pull his party out of the government if the main opposition does not co-operate more. Prachanda said the Nepali Congress was breaching agreements. He also blamed “some foreign elements”, among others, for hampering his government, which was formed nearly four months ago. The Maoist party came to power through the ballot box, following 10 years of insurrection in the country. Only in Nepal, perhaps, would the governing party threaten to launch a “struggle” and a “revolt”. It seems that, like often before, Prachanda is speaking with one eye on party hardliners who have recently made clear their ideological differences with him; and the other on ordinary Maoist workers. From the Report section of Red Star #19. This article was originally titled “National convention paves the way“. This article is one of several from Red Star on the National Convention, a major meeting on the future of the revolution in Nepal. We are publishing these overviews of the CPN(M) National Convention to better understand the path forward of the Nepali Maoists. This particular article focuses on party unity. KHARIPATI, BHAKTAPUR — The ‘People’s Federal Democratic National Republic’ is now the working policy of Communist Party of Nepal (Maoist). The six-day long national convention of the party concluded on Nov. 26, and decided on the new policy, which in short can also be called the ‘Republic of the People’. The party went through very intensive inner struggle but, at the end, the party came out more united and galvanised. The convention was held in Kharipati, about 15 KM from Kathmandu city. Roughly 1100 regional bureau level cadres from all 13 state committees and party central advisers took part. Inaugurating the convention on Nov. 21, among a throng of local and international journalists, the Party Chairman and Prime Minister of Nepal Prachanda said that he had a different feeling from previous occasions. He further added that the convention will send tremors to the ‘enemies’ who dreamt that Maoists are going to split. Q: Thank you very much Comrade Gaurav for agreeing to this interview with us. As you are aware, we are planning to launch an internet debate on the revolution in Nepal and we hope this interview will help. For this we have a few questions we hope you can enlighten us about. The first question is, could you describe the current overall situation in Nepal ? A: The current political situation in Nepal can be described as having two aspects. We can say it is a good opportunity, not only for the revolution in Nepal but also as an inspiration for the world proletarian revolution. But there are also big challenges, and it is natural that big opportunities are accompanied by big challenges. The political situation in Nepal is therefore facing these two different aspects; big opportunities and big challenges. The big opportunities are that there are good possibilities that we can accomplish the New Democratic Revolution in Nepal . To make revolution at this juncture of world history is a really difficult task. We don’t have a socialist base to support the revolution from outside, we don’t have socialist countries for support and we don’t have a strong working class movement anywhere in the world in support of the revolution taking place in our country. So to be based mainly on the people of our own country and accomplishing the revolution is a really challenging task. But still we hope we will be able to accomplish the New Democratic Revolution in Nepal , that it will be the first successful revolution led by a Maoist party in the 21st century. So I like to describe it as a good opportunity. Minister for Information and Communications Krishna Bahadur Mahara on Thursday said that his party is firmly determined to propel the country towards the path of people’s republic. According to media reports, Mahara, who is also a senior leader of the CPN (Maoist), made the remark while talking to journalists at a programme held in Pokhara.